With receiver-in-canal (RIC) hearing aids being all the rage, and more and more folks looking for the most discreet hearing aids possible, it’s no wonder the Siemens Ace binax has been such a hit. Siemens bills it as the smallest RIC in their latest line up, but it just may be the smallest RIC ever, or perhaps tied for that title with the Starkey Xino. I certainly haven’t seen a smaller one come across my desk, and I see quite a few. For being so small, the Ace binax is packed with features, but it’s not without it’s drawbacks. In this post I’ll provide a brief overview of the Ace binax, as well as what I would consider to be its biggest pros and cons. Just how small is the Ace binax? In the image below you’ll see three very popular discreet RICs from leading manufacturers. Because all of these hearing aids use a size 10 battery, they’re each about the same thickness, and their weight variations will have no impact on how they feel on your ear. The most notable difference, as you can see from the image below, is overall length. 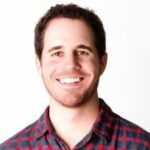 Is the Ace binax right for me? It would not be a good idea to choose the Ace binax just because it is one of the smallest RIC hearing aids available. There are all kinds of things to consider when determining which hearing aid is right for you, and your hearing provider needs to be involved in this decision as well. You don’t spend a significant amount of time in noisy environments, or you don’t struggle to hear in noisy environments. You’re not interested in streaming audio from phones, TVs, or other Bluetooth enabled devices. You don’t have a severe to profound hearing loss, or don’t mind changing batteries every few days. You have good dexterity and will be able to manage changing batteries and cleaning a very small device. As hearing aids get smaller, there are technological implications. Across all hearing aid manufacturers, a smaller hearing aid means less room for features and a shorter battery life. Be sure to carefully weigh the pros and cons when deciding if the Ace binax is right for you. Smallest, most discreet behind-the-ear hearing aid on the market. Can be remotely controlled with Siemens’ touchControl app with no additional accessory necessary. Has programmable push-button for added functionality. Has a wide fitting range and will work for mild to severe hearing losses. Short battery life of 75 hrs (4-6 days). Does not feature Siemens’ e2e wireless 3.0 or Narrow Directionality (for reducing background noise). Is not compatible with any Bluetooth accessories. Is not rechargeable like the slightly larger Pure and Carat models. In my experience, most patients that want discreet hearing aids tend to skew on the younger side. What is also true about younger patients, is their needs are usually different from older patients that may have a more calm lifestyle. 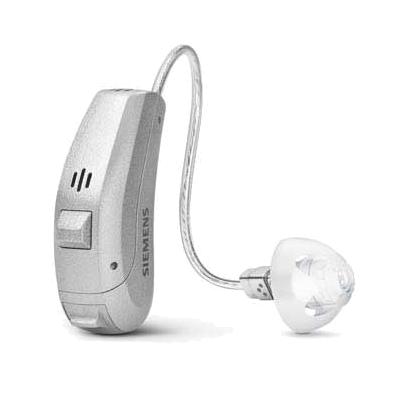 If you’re a working professional, always on the go, and find yourself in a lot of challenging listening environemnts, I think you’d we wise to explore some of the more fully featured hearing aids available from Siemens, like the Pure 7 binax. One of the things that Siemens is excellent at (maybe the best), is enhancing the clarity of speech in noisy environments. Siemens does this through their feature called Narrow Directionality. Unfortunately, the Ace isn’t equipped with this technology. However, if you don’t have a particularly hard time hearing in background noise, and have no need for Bluetooth compatibility, I don’t see a reason not to purchase the Ace binax. One thing unique about this hearing aid is it’s ability to be controlled by the free Siemens touchControl app (available in the Apple App Store or Google Play Store). I believe that at this time, the Ace is the only size 10 RIC on the market which can be controlled by a smartphone, without the use of an intermediary accessory. In short, the Ace promises to be a comfortable, discreet, almost state of the art hearing aid, that for most people, is certainly worth considering. If you have comments, questions, or experience with the Ace binax, please feel free to post a comment below!